If you’re trying to use multiple Adobe Creative Suite programs together, one of the first things you should become familiar with is the Place tool. Place functions similar to the Open tool. The biggest difference however, is that the Open tool lets you open a document as a new file, while Place lets you stick an image, text file or other materials into an existing document as a new layer. When you use all of these Adobe programs together, you’re really firing on all cylinders. Adobe CS programs are highly compatible with each other, so you can mix-and-match any number of Photoshop, Illustrator and InDesign files across the programs. 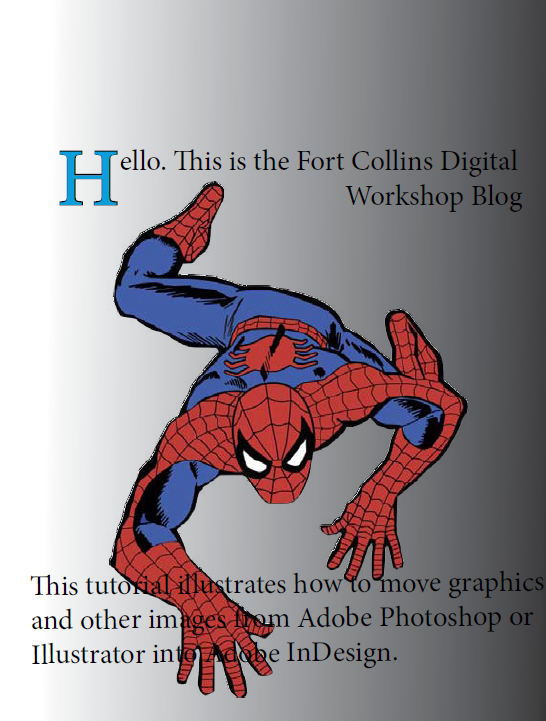 As a basic exercise, we created a document in InDesign, and we will be using the Place tool to import an image from Photoshop. To get things started, we created some basic text to work with in our document. We did this by selecting the Text tool and creating a text box to write in. You can play with the text to stylize it and add effect if you wish. Now that we have some text, it’s time to get our image from Photoshop. 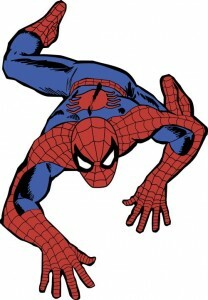 For our image, we picked something simple: an image of Spider-Man with a white background. Tip: When selecting an image to place in InDesign, keep in mind that the background color of your Photoshop image will carry over to the InDesign document. To save yourself grief, you should give any files you will place in InDesign a transparent background. If you have a specific idea for what you want the background of your final design to look like, you can create that background as a separate file (in Photoshop or another CS program) and use the Place tool for that as well. 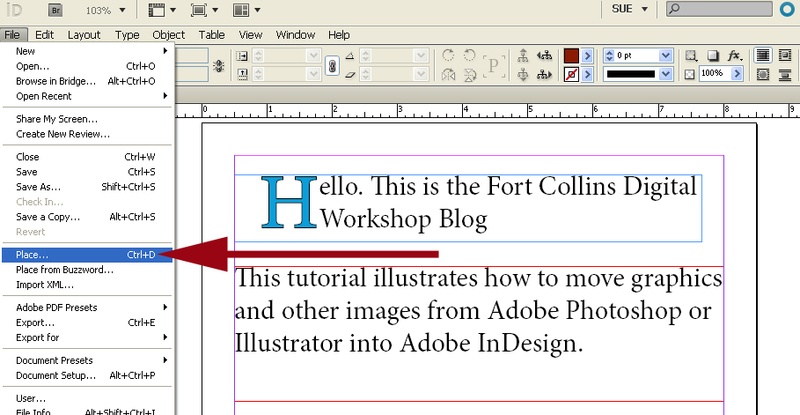 Now that you have a basic layer with text in InDesign and a Photoshop image ready, it’s time to “drop” the Photoshop file into InDesign. 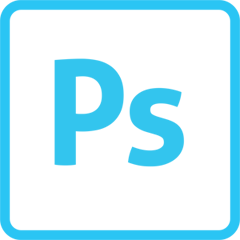 (If you need help with layers, read our Introduction to Layers blog). Create a new layer in the Layers panel. Click on File from the main toolbar and find the Place tool. After opening Place, select your Photoshop file. Now, a miniature version of your Photoshop image will appear where your mouse was. This happens so you can customize the placement and size of your image. Put your mouse in a good starting point for where you want the image to rest and click-drag until your image is the appropriate size. The proportions of your image will stay intact, so don’t worry about stretching or shrinking your image. 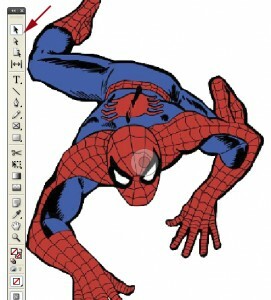 By clicking on the eye in the middle of your image, you can move it horizontally or vertically. Tip: make sure your image doesn’t interfere with your text. If this is an effect you like, try to use a font color that contrasts with the image, so you don’t lose readability. When you’re done tweaking your layout, well, you’re done! Now that you know the basics of the Place tool and how to combine media from Photoshop and InDesign, try creating an Illustrator file and placing that in your document as well. The steps are the same and Illustrator is a perfect tool for creating interesting text (for headlines or logos).